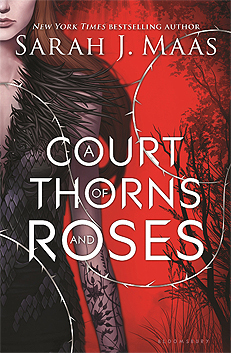 Feyre is a human and she goes back to Tamlin’s Spring Court as part of a deal. He’s meant to get her to fall in love with him to break a curse. Tamlin and co. are captured by Queen Amarantha and Feyre has to complete three tasks to rescue them. Rhysand, the guy from the Night Court, helps her out a bit. Feyre solves the riddle as she’s about to die and frees the Fae. She actually does die but the Fae turn her into one of them and she’s kind of reborn. She goes back to the Spring Court with Tamlin, for some unknown reason. Feyre goes out hunting and kills a wolf. A faerie called Tamlin goes to Feyre’s house and demands payment for the dead wolf. Feyre decides to go to live with him in Prythian. Tamlin is the High Lord of the Spring Court. Feyre discovers that the Fae wear masks that are magically attached to their faces. Lol. The Fae are worried that a plight that is affecting their magic might spread to the human realm. Feyre captures a Suriel to get information. He tells her that the ruler of Hybern, a neighbouring kingdom, doesn’t like the treaty that the Fae have with the humans. This ruler sent Fae over to spy on the other courts. Fifty years ago, they were disobeyed by one of their commanders. Feyre gets attacked and Tamlin saves her. A faerie gets his wings ripped off and is heard saying “she took them”. “She” is referring to the queen of Prythian, Amarantha. Amarantha hates humans because her sister, Clythia, fell in love with a human who then betrayed her. Feyre and Tamlin kiss in a field. It’s very Twilight. The High Lord of the Night Court, Rhysand, makes an appearance. Tamlin asks him not to tell Amarantha about Feyre being there. Feyre tells Rhysand that her name is Clare. The house of the real Clare is burnt down. Oops. Feyre returns to the Spring Court. Feyre learns that Amarantha cursed Tamlin when he refused to become her lover. He has to have a human girl fall in love with him. Tamlin and the rest of his court are with Amarantha. Feyre is found and taken to her as well. Feyre makes a deal with Amarantha. Over the course of three months, she has to complete three tasks. If she manages this then everyone will be freed. Alternatively, she could solve a riddle to free them immediately. Feyre completes the first task but gets injured. Rhysand heals her in return for her company once a month for the rest of her life. He tattoos her hand. Feyre can’t read so completing the second task – a riddle – is an issue. Rhysand helps her and admits he wants to be free of the queen. For the third task, Feyre has to kill three Fae. She kills two, but the third is Tamlin so she’s kind of stuck. Then she remembers that Tamlin (literally) has a heart of stone so she stabs him there. Amarantha refuses to free the Fae. She starts hurting Feyre. Feyre solves the riddle and the Fae are released. Amarantha kills Feyre. Tamlin kills Amarantha. The Fae brnig Feyre back to life. Feyre becomes a High Fae. Feyre is still bonded to Rhysand so will have to spend a lot of time with him. Ugh. Feyre goes home with Tamlin.